Scenario one: A disaster assessment scenario at which we were assigned to fly around and over a huge lake to try and find five square white boards that measured 2 feet by 2 feet each. The bright spot of the first scenario check in was when the nice FAA lady asked to see my Part 107 license and I could proudly present it to her much the same way I presented my driver’s license to the trooper at my first roadside driver’s license check when I was sixteen years old. She glanced at it and unceremoniously checked the box beside our team on the check in sheet and handed it back to me without looking up. 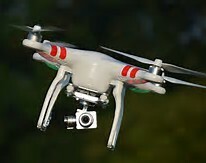 Well, she didn’t take very look to look at that, didn’t she want to really admire it and read it word for word, hold it up to the light and see it gleam, complement me on how hard I must have studied to get it, smile and welcome me to the world of unmanned flight. I guess not. We were required to call out loud our preflight check list as we readied our bird for flight and we properly checked each item off. We did so in a crisp, efficient, professional manner and she still remained totally unimpressed with our UAS cool. This scenario sounds easy but try and find all of the placards using one battery of flight time and with FAA personnel and spectators watching. From the launch/take off point none of the placards were visible so this wasn’t a give-away event. Brent, my spotter, dutifully kept me out of the trees and within visible sight at all times while I somehow I found four of the five boards and snapped a photo of each that would be required to show to the site manager as proof of our finds. Not a bad start but not a clean sweep either. The 30 minute per venue time limit made returning and changing batteries a little tight for getting back out over the lake so we settled for the partial score. At this point the first inkling of self doubt began to creep into my psyche but I was not ready to admit that I am not the greatest UAS pilot in all of the free world. Knuckle down and focus, a bogie on the first hole is not the end of the round. On to the next hole, uh scenario. Scenario two was a lost person. We were advised at check in that an elderly man was reported missing and we were assigned to search straight along a ridgeline that ran approximately 1,500 feet out with a steep drop off running parallel that ended in a shallow creek at the bottom bordered by a line of trees on the other side of the creek. A life sized mannequin would take the place of an actual old man so no big deal. This should be easy, right, straight flight out, find the dummy, snap the picture, get lauded with accolades and then move on. Half way down the ridgeline run, about 800 feet out, I spotted something on the down slope of the ridge line and snapped a picture. The FAA site person asked to see what I was looking at and sadly reported that wasn’t the dummy. I continued on, carefully viewing my camera screen with Brent verbally coaching me regarding distances from all hazards to flight and dutifully keeping the Inspire 1 in sight. I pushed all the way to the end of the ridge line and hit my pre-programmed flight limit of 1,600 feet and still nothing. Turning back I very consciously slowed my flight speed, reduced altitude for a better view while keeping a watchful eye on my battery level. At 70 percent battery level I determined that I had plenty of time. In summary I flew the ridge line twice more, took pictures of the same “anomaly” twice and returned safely with 15 percent battery. I presented the three photos of what I was still convinced was our dummy to the site person only to be told, “nope, that’s not it”. I guess I did find the dummy but he apparently was at the controls of my UAS. As I slinked back to the truck for the ride to the next site I confessed to Brent that the light was bad and my foot slipped. So far four targets out of six spotted. Self doubt was now screaming in my head that I might just be the worst UAS pilot on site that day. Brent was supportive but must have been thinking how could he have gotten hooked up in this second string team. Scenario 3 was an aircraft fire with a passenger walking away down the runway. The training center actually provided us an aircraft fire trainer with a fuselage fully involved by a large natural gas fed fire. We were to snap pictures of the flaming aircraft and then break away to search down the runway for the missing passenger. I did manage to circle the flaming aircraft and get the photos without burning the UAS up in the process. I had to think the real test here was to see if any of the pilots would actually fly their bird into the fire. Rule nothing out when these drone jockeys are flying. Moving down the runway along the tree line and over some junked cars I could not see a mannequin in sight anywhere. The FAA site monitor tried to be helpful a couple of times with a hint here and there like, “I bet he’s somewhere near a wrecked bus”. I found several busses but no dummy. Our site guy wanted to be helpful and see us succeed and threw in, “really close to a bus, he might be leaning against one”. Running out of battery I slowly returned to base not really wanting to land since that would be a beacon to all that I had failed again. Upon landing I thanked everyone and picked up my toy to go back to the truck. On the way there I couldn’t help but indulge in verbal self loathing and as a good spotter should do Brent had to say, “I guess the light was bad and your foot slipped huh”. Brent followed on with, “At least you didn’t fly into the fire”. Thanks dude. Yeah, I’m really getting the hang of this, four out of seven targets found. Scenario 4 was an infrastructure survey and criminal pursuit. We were instructed to fly over an electrical power distribution station on the property at an altitude of at least 75 feet to look for a package or satchel within the station fencing. Upon finding the satchel, we were to fly down range over the mock village and attempt to locate a mannequin simulating a suspect that had fled from the power station property. Our take off procedures and actual take off went flawlessly but upon arriving over the station at the prescribed 75 feet I noticed that the video on my ground station controller had frozen. I made several small turns and moves but the image on my screen stayed stationary. I duly and loudly advised our FAA controller of the problem and held position over the station. A couple of fixes were tried to no avail and an engineer from one of the vendors that was responsible for transmitting video of flights back to the operations center stated that the problem was most likely due to all of the RF (radio frequency) bouncing around from the other UAS and video transmitters and it was blocking my controller video signal. So not finding the satchel and as prescribed by procedures, I informed the controller that I would be returning to base and land to correct the video control problem. I landed, shut down the system and conducted a cold restart and the problem was corrected. Taking off again I headed straight for the mock village to search for the suspect. Brent kept me well away from trees and other obstructions while I searched up and down the streets of the mock village for our culprit. I searched yards, back yards, streets and alleyways to no avail. Running low on battery juice, I returned to base and as I was landing Mike Wilson from the FAA, one of the organizers came up to ask about our success or lack of it. I informed Mike that we searched everywhere and I could not find the dummy. He smiled and told me that he had hidden our simulated bad guy on the second floor balcony of the mock hotel in the village. Brimming over with frustration by this time I lamented, “Damn it Mike, why didn’t you just put him in the bath tub in one of the rooms under a tarp?” Thankfully, Mike has a great sense of humor. Thankfully, lunch time for us had mercifully arrived and we drove back across campus to the center cafeteria. Brent was supportive during the drive back and I enjoyed the truck air conditioning blowing in my face. Even if I was turning into the worst UAS pilot in historical record I could finally cool off. After cordial conversation over lunch and guarded discussion of what all we found or didn’t find during the morning we bugged out for the fifth and final scenario. The fifth and last scenario was a traffic accident forensics mission with a couple of twists. Arriving at the final station we were assigned to fly over an intersection where two passenger vehicles were in the obvious position of having collided. We sounded our checklist and carefully lifted off. I took the UAV to about 100 feet to photo document the position of the vehicles in relation to the intersection and surroundings. While adjusting altitudes a few times to best frame the photos I detected the whop, whop, whop of rotor aircraft blades in the distance. Our controller shouted, “ In bound Georgia State Patrol helicopter, what are you going to do?” Duh, I think I will return to base and land. This was not a battle I had a chance of winning and I do believe that air conflict and contact with a GSP helicopter would keep me grounded for the rest of my unnatural life. We were actually congratulated for making the obvious and correct judgement and decision to land. Hey, my first success all day was to not crash into a manned helicopter. I’ll take it. The helicopter actually landed across the street from us and was included in the scenario to force UAV teams to perform the correct function in just such a situation. After the GSP chopper took off and was out of sight our FAA controller asked us to return over the cars and see if we could see anything unusual. With that clue and plenty of battery I took off and went directly over the vehicles. I reported that nothing unusual jumped out at me and the controller said to keep looking…..much closer. I dropped altitude to maybe 30 feet over the cars and noticed that I really couldn’t see down in the shadows between the vehicles. I remotely adjusted the aperture on the camera for a larger opening thus bringing the shadows into better view and bingo. Down between the two vehicles was a mannequin hanging out of one of the vehicles open doors. Our controller smiled and asked if we saw anything unusual. Feeling a mild sense of relief I replied, “Nothing that we don’t see every Saturday night downtown”. Snapping a photo, I began the return to base and the FAA guy retorted, “I want to come and visit your town dude”. Reminiscent of the 18th hole of a golf course where you hit a great drive down the middle of the fairway and follow with a decent approach shot that lands 20 feet off the green, we finally found what we were sent to find and actually successfully completed the final scenario. Back to the control center in the training center we completed our after action paperwork and headed off to the motel for a shower and more than one cold drink. After the second cold drink I felt much better about the days outing and could digest all of the valuable lessons that I had learned that would make me a better UAS pilot, after the cold drinks wore off of course. DO NOT fly your UAV while under the influence of cold drinks kids. The third day was a productive, interactive exchange of lessons learned and meaningful critiques of the scenarios expertly facilitated by Gary O’Neill of GA Tech. In total there were 72 events flown by the 20 participating teams and these teams accumulated 953 minutes or 15.88 hours of actual time in the air. A check of my electronic flight log indicated that my spotter and I alone had a total of 62 minutes in the air from our 5 events flown. All flights by all teams were accomplished with no crashes or serious incidents. Not bad at all for a first event of its type in our state. • Don’t fly stupid in front of an FAA official. 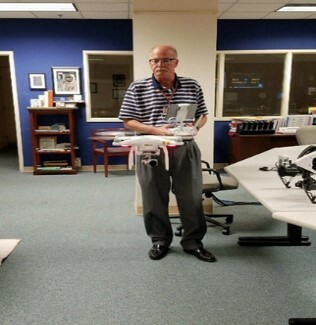 • When speaking with an FAA official, always smile, nod and look concerned. • Fly with a spotter that will keep you out of trees and power lines. • Fly with a spotter that can be upbeat even while the pilot fails miserably at all assigned tasks. • If you have a chance to attend one of these great events, do it! If you do not have one of these great events in your state, organize a group of super intelligent amazing professionals and organize one. Convince your missing persons and fleeing criminals to wear bright, fluorescent orange clothing and wear flashing strobes on their heads. Don‘t fly into fire, flame or gun. I think my Chief would be proud of our showing and the valuable lessons that we got out of the three days away from the office. I’m cool with the three days away from the office. Thanks Chief.